Colin Munro - The 29-year old hard hitting New Zealand batsman is a T20 specialist. Known for playing unorthodox shots, Munro usually goes for his shots from the first ball itself. Jason Holder - West Indies' skipper in Test and ODIs, 24-year old Holder is a right-arm medium-fast bowler. Coming down the order, he can play the big shots as well. John Hastings - The 30-year old pacer from Australia has recently made his way back into the Australia's ODI and T20I squad. He is a vere capable bowler of bowling in the death. His yorkers seldom gave any opportunity to the batsmen to score off him in this year's Big Bash League. Jaydev Unadkat - Having played for KKR in the past, Unadkat is a renowned name in Indian domestic cricket. The 24-year old left-arm fast-medium bowler plays for Saurashtra in the Ranji trophy. 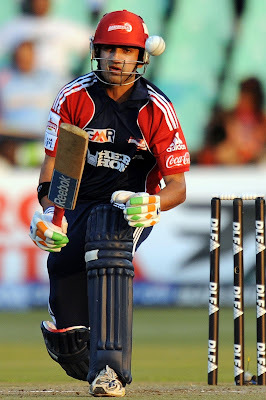 He has also represented Royal Challenders Bangalore and Delhi Daredevils in the IPL. Ankit Rajpoot - The 22-year old right-arm medium-pacer from Uttar Pradesh has played for Chennai Super Kings in the past. Along with his wicket-taking ability, he restricts the flow of runs as well. Rajagopal Satish - The 35-year old all-rounder from Tamil Nadu carries a lot of experience with him. He bats right-handed and bowls right-arm medium-pace, making him an interesting prospect for T20s. Manan Sharma - The 25-year old left-arm spinner from Delhi will start his IPL career under Gautam Gambhir (skipper of Delhi in Ranji trophy). Manan is also handy with the bat down the order. KKR has a total of 22 players (13 Indian + 9 Overseas). At the top of the order will be Gautam Gambhir, who may not have played for India for a year and half now, but he still would be desperate to score runs and make his case stronger for a national call. To give him company, would be Robin Uthappa, who has performed consistently for KKR in the past. Gambhir will have to come good at the top of the order. Manish Pandey, who scored a century for India against Australia in Sydney earlier this year, forms an integral part of this batting line-up. Yusuf Pathan and Suryakumar Yadav will provide the firepower in the lower middle order. One out of Chris Lynn or Colin Munro might get included in the initial playing eleven. KKR also has Sheldon Jackson in their reserves, who is a stable run-scorer for Saurashtra in the Ranji trophy. 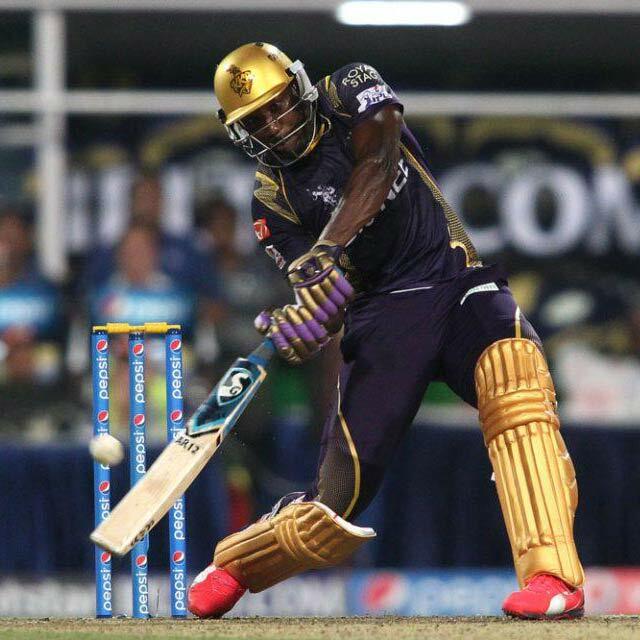 Much of KKR's might lies in Shakib Al Hasan and Andre Russell. Both the all-rounders have proven to be effective T20 players in various leagues around the world and also for their respective national teams. Both have it in them to bowl their full quota of four overs to go with their hard-hitting potential. Russell can perform the dual duties of hitting big and bowling at the death. Morne Morkel and Umesh Yadav have shared the new ball for KKR in the past. The management would be hoping that Morkel recovers in time. To accompany them, Hastings, Holder, Unadkat or Rajpoot might be given a go. Another thing which works in their favor is the presence of quality spinners in their side, considering the fact that spinners play a big role in India. Sunil Narine and Piyush Chawla will form an essential part of the spin bowling department. The 45-year old Brad Hogg somehow finds incentive to continue playing the shortest format of the game. He bowls the distinct left-arm chinaman. His disciple in Kuldeep Yadav will be keen to learn the tricks of the trade from him. Manan Sharma might be handed a debut at some point of time. Jacques Kallis has been named as their Head coach. Simon Katich as the Assistant coach. W.V. Raman as the batting advisor and Wasim Akram is their bowling coach and mentor. KKR will take on Delhi Daredevils on April 10 in not only theirs, but India's home ground, Eden Gardens, Kolkata. If you go by their winning (2012) - not qualifying (2013), winning (2014) - not qualifying (2015) streak, probably this year they will win the tournament yet again. They certainly have the team to do it.